From 2005-2015, he was Executive Director of the PASOS think-tank network covering Europe and Central Asia. He developed PASOS as a leading regional civil society network, acting as a re-granter for the Open Society Foundations, and he put the Open Government Partnership on the agenda in the Western Balkans, resulting in the first annual OGP Balkans Dialogue conference in Tirana in 2015. 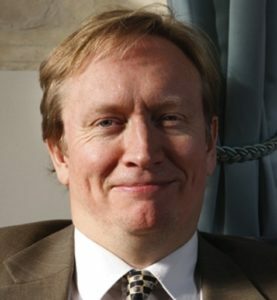 From 2000-2005, he was Director of Communications at the international secretariat of Transparency International. From 1995-1998, he was Central Europe correspondent for The European newspaper, and from 1987-1995 he was an editor and journalist in London for The European, the Sunday Times, New Statesman, Tribune, and other titles. He has been an op-ed contributor for the International Herald Tribune and Project Syndicate. In 2015 and 2017, he served as a member of the Advisory Group on Media Freedom in the Eastern Partnership countries, chaired first by the Latvian Presidency of the EU Council and then by the European Commission.